For After Hours Service, Call 780-779-1452. Just like any other part of our body, we need to tend to the regular care and maintenance of our teeth in order to decrease the likelihood of disease or injury. Sometimes, however, accidents occur despite our best efforts. Preventative maintenance, including such things as ensuring that you eat a nutritious diet and avoid lifestyle habits that detract from your health such as tobacco smoking, can increase your ability to recover from illness such as infection if the situation was presented. Not all dental concerns are considered dental emergencies. For example, a cavity that is forming but is not causing pain in the mouth and jaw should be treated at your nearest convenience, but does not warrant an emergency dental appointment. So what exactly is a dental emergency and what should you do if you are faced with one? Dental emergencies generally occur in one of three ways. First, any tooth that is broken or dislodged as a result of an accident or impact to the teeth is considered emergent. The reason for this is that the timeline for effectively replacing a knocked-out tooth decreases quickly if more than one half hour has passed since the tooth was dislodged. 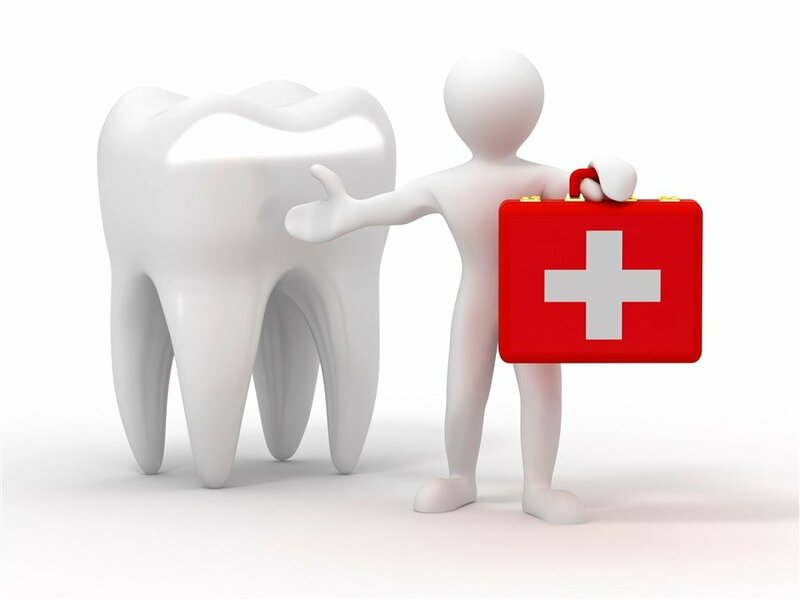 The second dental emergency qualifier can be determined by physical symptoms around the teeth on the soft tissues. For example, soft tissues may become red and inflamed or there may be visible evidence of infection as seen in abscesses along the gums or a bitter/sour taste emanating from the point of infection. Since the teeth do have a blood supply, it is important to treat dental infections promptly in order to retain the infected tooth and prevent any infection from entering the body’s larger blood supply. The third qualifier for dental emergencies, of course, is pain. Pain in the mouth can also signal infection of the tooth and/or surrounding tissues. If you have pain in your mouth that is not easily addressed by taking an over-the-counter pain medication such as Tylenol or Advil, we suggest making an emergency appointment with a dentist in order to identify and treat the cause. 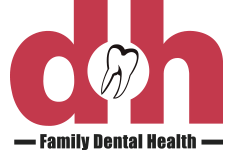 At Family Dental Health in Whitecourt, we build some flexibility into our appointment schedule each day in order to allow us to tend to emergency dental appointments in a timely fashion whenever possible. We do recognize, however, that dental emergencies often occur away from home as in an out of town hockey game, for example. For this reason, we recommend that any of our clients who cannot be seen at our clinic within 30 minutes of the incident be seen at the nearest clinic to their location. Any follow up appointments can be scheduled at our clinic once the emergency has been treated. Just because accidents happen does not mean that we cannot take steps to decrease their likelihood. There are several things that everyone can do to mitigate dental emergencies including regular cleanings and checkups (with digital X-rays). Digital X-rays taken at regular intervals can assist your dentist in understanding the health of your mouth from the inside out, including identifying hidden dental cavities and other emerging concerns. Daily oral hygiene is also one of your best defenses against emergencies occurring as a result of infection. Regular brushing, flossing and rinsing ensures that the environment inside your mouth remains healthy and prevents overgrowth of harmful bacteria. Finally, many dental emergencies occur as a result of injuries sustained during physical activities like playing contact sports. We encourage all our patients to be physically active, but not without proper personal protective equipment such as mouth guards. If you're experiencing a sever tooth pain or sensation in your mouth or gums, you should see a dentist as soon as possible. If you have experienced an severe injury to your teeth, mouth or jaw, you will want to get to a dentist as soon as possible. Rinse the tooth or the piece of tooth in clean water and do not let it escape down the sink. If there is debris of any kind present on the tooth, do NOT remove it – it may be part of your tooth’s delicate ligament. Hold the tooth by its top (the part that you brush). This will ensure that no further damage is done to any of the attached ligament tissue. Attempt to guide the tooth back into the socket if you can. Hold the tooth in place by gently closing your jaw against it. If you cannot get the tooth back in your socket, tuck it in your cheek or some milk to transport it to the dentist. Put pressure on soft tissues if they are bleeding, in order to encourage the bleeding to subside and apply a cold pack to the outside of the mouth to decrease bruising and swelling as needed. Have someone call your nearest dental clinic to advise them of your need for an emergency appointment and try to arrive at your dentist’s office within 30 minutes of the incident occurring. If you are in pain, or have signs of infection: Do not apply heat to your cheek or jaw, as this can worsen the pain and draw more blood into the area. You may place a cold pack on the outside of your cheek in 15-minute intervals. Call our clinic for emergency dental service in Whitecourt and let them know that you are in severe pain and require an emergency dental visit. It is important to note that severe dental pain that subsides abruptly is not an indication that the infection has resolved. The absence of pain likely indicates that the tooth has died and must be seen by a dentist in order to prevent complications. All services performed by a general dentist.